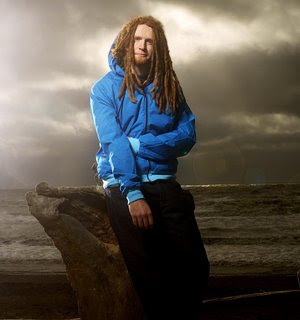 Platinum-selling British singer-songwriter Newton Faulkner is playing two dates this month at Schubas - April 18 and 19. According to Rolling Stone, "if Prince was an English hippie who was obsessed with Bobby McFerrin-esque percussion and had long cinnamon dreadlocks, you'd have Faulkner." Now there's a combination you really can't ignore. The 23-year-old Faulkner is touring the U.S. in support of his debut record, Hand Built by Robots, which comes out April 29. The album already spent two weeks at number one in Faulkner's native land, also grabbing the top spot on the U.K. iTunes for six straight weeks. Faulkner seems to be a talented songwriter who draws upon a variety of sounds and influences, which always makes for an artist worth looking into. You can listen to some of his tunes on his MySpace page and pick up tickets to either of the upcoming gigs here.